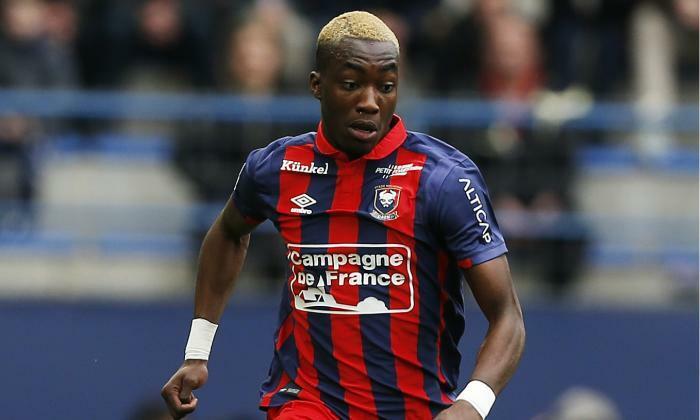 According to reports, Chelsea are set prepared to battle FC Barcelona for the signature of Caen starlet Yann Karamoh, who is presently on loan at Serie A giants Inter Milan. Chelsea may have an advantage over Barca, however, with the Daily Mirror suggesting he’s informed those close to the wonderkid are tempted by a possible move to the English Premier League. The exciting young talent made his breakthrough in the French Ligue 1 with Caen last term, netting five goals in 35 matches for their senior team. This saw the Serie A club sign him up on loan with the option to make it permanent when the 2018/19 season end, though the team could see their approach for him wrecked by Barcelona or Chelsea. The Mirror suggest he’d possibly cost about £25m and that he’s interested in a move to the Premier League, so the Blues will feel they have the advantage in this battle, even if they certainly cannot be complacent when top names like Barcelona are heavily involved. He would be a good long-term signing for the Blues, though it remains to be discovered if he would perform better than former top starlets who failed to get a senior team breakthrough at the Bridge before shining elsewhere.